Main Street Board is a 13 member board, the members of which represent various groups in the downtown area. The Main Street Board is charged with the responsibility to optimize the continued integrity, vitality and character of the city’s historic downtown area while being mindful of its extraordinary heritage. Main Street Board meets on the fourth Friday of each month at the Cox Building, second floor. 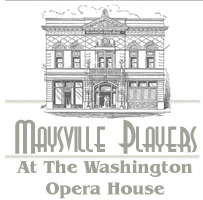 Staff liaison Caroline Reece may be reached at 606-563-5624 or caronlinereece@maysvilleky.net.